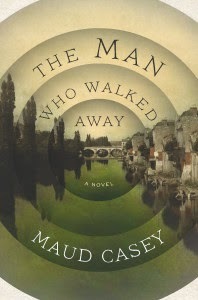 Maud Casey's most recent novel is The Man Who Walked Away. 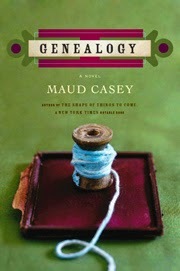 She also has written the novels Genealogy and The Shape of Things To Come, and the story collection Drastic. 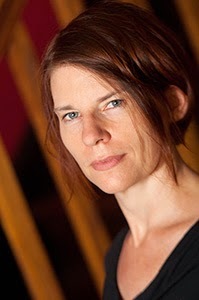 She teaches at the University of Maryland, and she lives in Washington, D.C.
Q: Your novel is based on a real medical case. 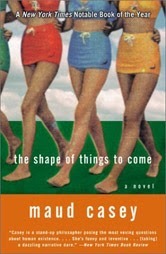 What did you see as the right balance of history and fiction as you wrote the book? A: Yes, the 1886 case of Albert Dadas, the original fugueur, who wandered for years in a semitrance state throughout large swaths of Europe. It was one of the hardest parts of writing the book, striking that balance. I wanted to capture the era but I also wanted to feature the imagining, if that makes sense. As in, I’m a contemporary fiction writer in conversation with a particular moment in history—in this case, the birth of psychiatry in Europe in the second half of the 19th century. I didn’t want to make any claims on telling the real Albert Dadas’ story, out of a kind of respect in a way. There’s the real guy and then there’s my invented guy. There’s certainly a lot of overlap but I think fiction is always up to something different than history. Both stories, for sure, but fiction is a great cultivator of empathy because it’s interested in the privacy of consciousness. It’s not that I was disinterested in the public record, or the historical moment, not at all, but what I wanted to feature was the feeling. A: I did a lot of crashing around, to be honest. I mean, that’s always what happens while writing a novel but in this case because I was trying to get a handle on the era, I did a lot of reading and a lot of wrestling with how to enter into history while building my own distinct fictional world. Thankfully, Ian Hacking’s wonderful book, Mad Travelers: Reflections on the Reality of Transient Mental Illness, which was where I discovered the Albert Dadas case, includes a bibliography that became my reading list. One of my favorites: Edward Shorter’s From Paralysis to Fatigue: A History of Psychosomatic Illness in the Modern Era. A good description of my path through this novel. It was also a thrill. It’s such a rich, peculiar moment in psychiatric history. They were crashing around too. There was so much still to know. There still is. I could have gone on reading forever. I think that’s often the way. The research becomes a tempting way of avoiding the writing while telling yourself it’s all part of the writing. And it is, but eventually you have to sit down in front of the blank page and, you know, write. Q: Why did you decide to tell the story from the alternating perspectives of Albert and the Doctor? A: The novel began with the voice of Albert, which is an ethereal, lyrical, dreamy voice. I wanted to stay there forever but that voice would never have sustained a novel. It would have drifted off into oblivion. It needed the balance of the Doctor’s rational stance, his scientific inquiry. My hope is that the two make a different kind of music together. Q: Which writers have inspired you? A: So many! I’d be here all day if I tried to name them all but here are some writers whose work, when I encountered it, changed me forever: Barbara Comyns, Gogol (and Nabokov’s little book on Gogol, which includes one of my favorite essays on reading fiction, “Apotheosis of a Mask”), Bruno Schulz, Gina Berriault, Grace Paley, Max Frisch, James Baldwin, Jane Bowles, Elizabeth Bishop. I’ve been thinking a lot about how art influences me too. To give a few examples, the current exhibit by Andrew Wyeth at the National Gallery of Art, “Looking Out, Looking In”—it’s a collection of all of the windows he painted, a collection of glimpses and mystery. And Alexandra Cool’s photographs of writers with a pinhole camera, which makes them look like specters. A: I’ve gotten a little cagey about talking about things in progress. I’m afraid talking too much about them will make them disappear. That said, the broad strokes are that I’m collaborating with a photographer, which is really a thrill. I’ve always been envious of poets who seem to do all sorts of collaborations with artists. 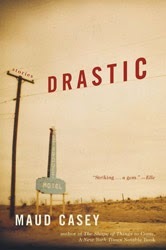 And I’m working on a short nonfiction book about the literary quality of mystery. And there’s a seed of an idea for a novel, that needs a lot of watering, but still, a seed! A: Hmmm. I like the wide openness of this question. Here’s something I think about often because it was an early experience of encountering a writer who I admired tremendously and wanted to emulate, not only as a writer but as a human being: I once had tea at the Plaza in New York City with Kurt Vonnegut. I was, I think, eleven. I was a huge fan and my mother and father, also writers, knew Kurt from their days at the Iowa Writers’ Workshop so they set this up. It’s such a lovely memory. His warmth and generosity—wow. How lucky we all were to have him on this earth.